New Hope Rising is changing lives in our communities. 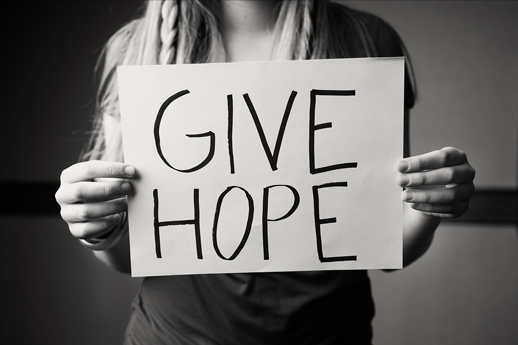 Your tax-deductible donation helps New Hope Rising continue to carry its mission forward. Our mission would not be possible without the generous support of businesses and individuals like you. One person. One Family. Once Community at a time. New Hope Rising’s Tax ID Number Is: 47-1372307. Click Button to Make Your Donation Today! New Hope Rising’s Monthly Giving program is an easy and convenient way to support the agency’s work all year round. This automated giving program allows donors to regularly contribute an amount of their choosing via credit card payment or direct debit from their personal or business checking account. Click Donate Now above to enroll online, or contact our office at 631-336-9990 to request an enrollment form. New Hope Rising uses donations of goods and services in a variety of different ways to support the work of the agency. Donations can be used for the direct benefit of our residents, the maintenance of our recovery housing programs or the administration of the agency. We are currently seeking professional service providers (plumbing, construction, HVAC, electrical, painters etc.) willing to donate their time to help NHR maintain and improve its recovery homes. We are also seeking professionals interested in sharing their passion and expertise with our residents for workshops related to holistic wellness and fitness. In addition, gifts in-kind or gifts of professional services can be used as raffle prizes or auction gifts at our annual fundraising events. These types of gifts can be a great way to publicize your business and give back to the community. Contact us to find out what items are currently needed. Gift card donations for food (BJ’s, other grocery stores), gas, Uber/Lyft, Target, Walmart and to online retailers, such as Amazon.com, are always needed and help support our programs with the purchase of food, transportation, drug/alcohol testing supplies, and household items. Many businesses and corporations offer matching gift programs. These employers will contribute to non-profits chosen by their employees and allow an employee donor to increase the size of their gift by 50%, 100% or more! Check with your company’s human resources or community relations department to find out if your employer offers this type of program. Once you obtain the matching gift application from your employer and complete your portion as the employee, you can send your donation with the form to New Hope Rising. We will then complete the non-profit organization’s portion of the matching gift application and together we can watch your generosity grow! You shop and Amazon gives back! Visit smile.amazon.com, choose New Hope Rising as the charity you’d like to support, and Amazon donates 0.5% of your AmazonSmile purchases to New Hope Rising. To make a direct financial donation to New Hope Rising, you may send a check written to New Hope Rising at PO Box 115, Mastic, NY 11950.